Jessina is an NLP Practitioner a Holistic Therapist and owns a practice in Corona California. 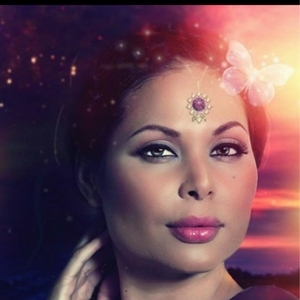 She is a co-author in Awakening Starseeds and discusses the importance of self-love and self-acceptance. Goddess Activations and Exciting Book Collaboration!! After living and loving an unconventional life, I learned the value and understanding of what traveling, being in new places, meeting new people can do for the heart mind, body and soul. How Starseeds never really felt at home just in one place and how everywhere is Home. How to do create your reality and live an unconventional life that fulfills your heart, soul and life’s mission. With host Radhaa Nilia. Lemurian Code Heart Chakra Healing with Maya the Shaman. 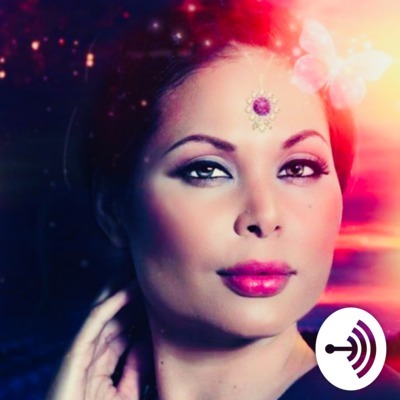 Latest episode of Galactic Goddess Podcast with Radhaa Nilia. In this podcast we dive deep into how forgiveness brings back our power into our lives. When we hold grudges and resentments it diminishes our own energy and light. Practicing forgiveness allows us to express that we have been hurt and in our vulnerability we take back the power we lost. Emotion is energy in motion and the thoughts and feelings we have dictate how we go through our daily lives. Forgiveness lightens the load energetically by releasing the hurts we have kept deep inside our cells. Life is a spiral and we are continually reminded and kept grounded by the experiences we go through. Practicing forgiveness also allows us to move forward powerfully and with grace and ease to manifest the life we want. While visiting my family in Michigan and I was inspired to learn more about my father's lineage and the healing powers of bringing stories to the light. Mars (in August), Saturn and Pluto station direct. Mercury enters Virgo (place of exaltation), Venus enters scorpio and Virgo new moon, conjunction between Mercury and Sun at 29 degrees of Virgo. Mercury enters libra (on international day of peace), sun enters libra (Fall Equinox), Aries full moon square saturn / conjunct chiron Inner comprehension becomes activated in outer form. Seeing the outcome of our retrograde/eclipse season lessons and learning to empower ourselves to optimize in every situation by remaining open and out of victim mentality. As our reality begins to manifest the the vibrational upgrades installed over eclipse and retrograde season, we are asked to face forward by releasing the identities we have outgrown, simplify our lives and move right along towards all that is ready and awaiting our arrival. As the ego upgrades continue to download, we will need to remain patient and neutral towards the process. Mars Goes Direct: Go Time! New Podcast UP! Healing the Betrayals of Our Heart with Mercury Retrograde in Leo today 7/26: Join Evolutionary Astrologer Sarah Paasch and I as we discuss matters of the Heart. Witnessing the cycles of pain and fear. Untangling ourselves from the karmic cycles of others. When pain shows up, how do we sit with it? What do we do with it? Ending these cycles of passing down pain rather than feeling it and processing it fully. Huge opportunity for growth and karmic release and a major opportunity to clear so many old pain patterns once and for all. Use this powerful energy to Release what no longer serves you and harness to manifest what you are ready to create. Unraveling Patterns: How Deep Can You Go? Integration: Falling apart in order to come together, holy. July will test our inner stability, identity structures, the integrity of our choices and our psychological grit as we step bravely into our transformative fires. This month we will be supported most by our acts of compassion, full surrender to the flow and appreciative connection to others. There will be opportunities to integrate more of our light and shadow aspects of self through our willingness to release duality and stories of separation-both within and without. Two Eclipses initiate us all into the changes that we are ready (or not) to embrace and will once again highlight the themes of self-expression and authenticity. This month offers multiple paradigm shattering opportunities to the extent that we are willing to stay calm and love ourselves through the transformative storms. We have the chance to walk directly into the fires and reemerge purified, refined, stronger than once before; this is the call of the Pheonix. Artificial Immortal Life for Sale: are you buying? I have been channeling for years with my Higher Self and also with guidance of my great, great, great grandfather Don Pedro. This channel go over Sacred Relationship and Divine Union. My fist ascension experience through an activating Lullaby.